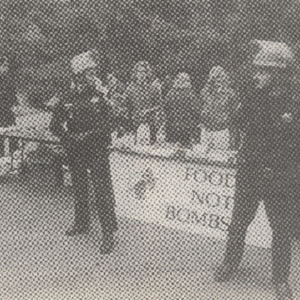 Food not Bombs protest photograph. Kick it Over collective , “Food not Bombs protest photograph. ,” UVic Libraries Omeka Classic, accessed April 21, 2019, http://omeka.library.uvic.ca/items/show/587.